Feb. 5, 2019 8:45 a.m. | Portland, Ore.
“Disrupted learning” is just what it sounds like. It’s when students are having such a hard time that they scream or threaten their classmates and teachers. They lash out physically — hitting or kicking. They climb on top of desks or knock over furniture or throw pencils or scissors. Teachers or administrators are left with no good choices: either restrain the student and risk the child’s physical and emotional well-being or clear the room of everyone except the student while they trash the place. 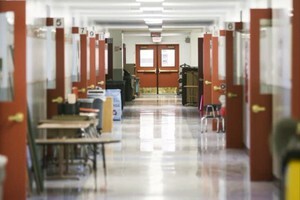 A new report from the Oregon Education Associationcomes from outreach to 2,000 teachers over nearly a year, aiming to press the case to lawmakers that addressing childhood trauma — and its dramatic effects on public school classrooms — should be a top priority for additional investment and policy changes. More than half of the hundreds of teachers who responded to an Oregon Education Association poll on disrupted learning say they’ve experienced “at least one room clear this year.” It’s difficult to confirm the results from the statewide teachers union or to determine how many room clears have actually happened because the Oregon Department of Education doesn’t collect information on the practice, and there’s no uniform definition or protocol for the response. But it’s not a brand new problem. Teachers in Oregon public schools have been raising the alarm about deteriorating classroom conditions for years. The new report from the Oregon Education Association — the statewide teachers’ union — tracks its involvement in the problem back to a task force on special education two years ago. Teachers highlighted classroom disruptions in November 2017 to the State Board of Education. Gov. 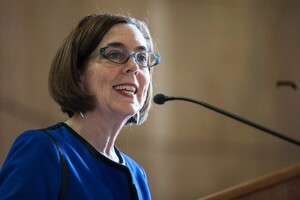 Kate Brown responded by launching a task force of her own, and the OEA convened a series of meetings that covered much of the state last year. As those meetings were wrapping up, teachers showed up in force at local school board meetings, including one last fall in Eugene. OEA’s new report and comments from teachers in recent months suggest the disruptive events have been increasing over the last several years, they suspect as the result of two forces: more students experiencing trauma or economic hardship at home, and declining resources at school. “More problems and less support,” summarized one unnamed teacher in the OEA report. Jenny Perez teaches fifth grade at West Powellhurst Elementary School in east Portland’s David Douglas School District. She said the outbursts can draw staff from all over her school, who would otherwise be supporting instruction, planning or doing other important jobs to help students. But Perez said the room clears are just one manifestation of the trauma students are responding to in class. “For some, it’s yelling and physical outbursts, and hurting others or themselves,” Perez said. Because of how disruptive those students can be, Perez said she tries to learn her students’ emotional sensitivities, so she can help them calm down before they get disruptive. “For others, it’s a completely internal process, where you see them shut down,” Perez said. She said for those students, it can be difficult to talk to them at all. “Some students try to leave the situation. Their emotions are so heightened that they try to take themselves out of the learning environment, which may or may not mean off campus, as well,” Perez said. The OEA report also looks at incidents of restraint against students, though Perez said teachers tend to follow rules against touching students. But she said teachers are conflicted about particularly dangerous situations, like when students are being violent or running from school toward a busy street. Some of the focus on disrupted learning came out of discussions of special education, but educators are reluctant to draw too straight a line between students with disabilities and disrupted learning. 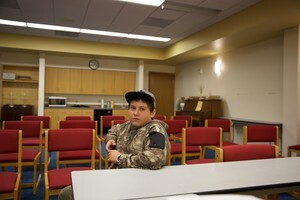 Both Perez and union president John Larson said that students without learning difficulties are also prone to outbursts. At the same time, the OEA report points to “students with high needs or special education needs but no resources to support those needs” as a factor behind disrupted learning environments. OEA is using the report in its effort to support greater spending on public schools — an effort that gained traction leading up to the recently-begun legislative session. Democrats control both of Oregon’s legislative chambers, as well as the governor’s office, and a joint committee spent the last year researching possible improvements and sketching out possible costs, for the state’s public schools. OEA’s report argues the solution is to add more qualified adults to schools — hire more teachers to reduce class size, and bring in more school counselors and educational assistants trained to de-escalate students who are having a difficult time.